p.s. excellent summarizing, pictures, and formatting-for-readability in the pair of 'Big Clock' reviews above. Swell job. Its not a little amount of effort that goes into such write-ups. Thanks Sgt_Markoff. I've appreciated the comments you add to the thread each week! As well as the comments from everyone else. My esteem being now on record, I can now freely heap some diss on Page 4 of this thread. "Lengthy Journeys" is the theme; but... its useless to me! All of these titles far too recent of vintage. So I am resuming my reviews (of these reviews) on Page 5, 'Woody Allen'. The Wood Man! Sparkling evaluation, but I don't actually know that I've ever seen 'Annie Hall' from start to finish. Woody's battle with Joan Didion looms larger in my mind than the actual movie. Naturally I know about how Keaton's wardrobe changed fashions. What probably stands out more to me is the cameo role by Chris Walken. Hmmm--I reckon I'm probably more interested in Woody's character (in this flick) than I was in Annie's; and while what he did here was adequate its by far not as revealing as was 'Manhattan'. The latter film has many standout moments. I don't recall any exultation in 'Hall' (for me, anyway). A (minor) issue I have with discussion of 'Annie Hall' is constant harping on "oh that was a thing of its time". I never find this advantageous. There are fundamental things in any movie no matter when released. If I have my druthers, I'd wish that in each case, let's ask 'what are they? what is still relevant?' (rather than state: 'it's hard to understand what people once saw in this' etc). Just a suggestion. I think I did the month on Significant Journeys in December of that particular year. I wanted to go outside the box and not review Christmas titles, though I have since reviewed holiday stuff the past two Decembers. It was a chance for me to look at more recent documentaries and docudramas. INTERIORS is my favorite Woody Allen flick. It's the one I think about most when I think of Woody Allen as a director. It's not perfect but oh-so-good on so many levels. re: 'Interiors' (page 5) its certainly a hard-hitting and visceral drama. Of the kind that is hardly even made anymore. Beautiful realism. All the actors, such seasoned pros. Great to see EG Marshall really given something meaty like this. He was superb as the callous husband. What a movie really should be: exploring truths. I wonder where the story came from, who wrote it, why Allen did it. I don't know the actress Beth Hurt. And Geraldine Page (as I've stated elsewhere) is always jumbled up in my mind with Geraldine Chapman, Geraldine Fitzgerald, Maureen Stapleton, and whatnot. 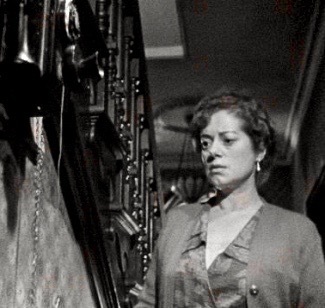 Page certainly is about as gloomy and frigid-looking a woman (in this film) as I've probably ever seen. Once can almost not want to blame EG for throwing her gently to the kerb. Almost. He really is a cad in this one. The story reminds me a vaguely similar flick around the same time: 'Four Seasons' by Alan Alda. Similarly there, an intimate/close-knit group must accept an outsider for the first time. In that narrative, it is actress Bess Armstrong who is the intruder. Man! If only this was still a country which still had a movie industry where films like this were commonplace! Its a tragedy. Superb b&w photography in 'Interiors'. Can't beat it. Dream-like. Your post makes me want to watch INTERIORS again. 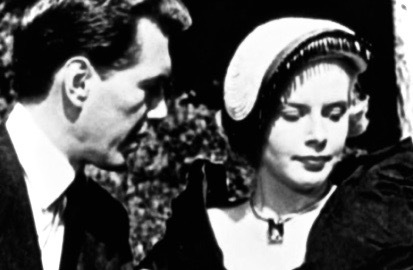 I'd say Allen was inspired by Ingmar Bergman and am sure he borrowed ideas from Bergman's films. It's like Allen makes the leap into maturity with INTERIORS. He couldn't have chosen a better cast to implement his ideas. It's been years since I've seen THE FOUR SEASONS. It became a short-lived TV series in the 80s. Glad to hear. Yeah, but what's kinda odd is that I've heard Woody doesn't even think this is his best film; (or even one of his best) even though not too long after this, he burped out a string of mediocre lesser-rans. After that, I lost track of him since (just as Scorcese did) he started using 'trendy' much-too-young stars in his flicks. Alan Alda proved himself a very capable writer/director as far as I'm concerned. Not spectacular but very serviceable. He's a guy with his head on straight when so many others have lost theirs. I'm up to page 6 now, reviews of 'Love Affair'. Unfortunately I haven't seen it. My loss. Have only seen Cary Grant/ Deb Kerr. Looking forward though, to what I now see scrolling up the page--'Love Letters' which I'm a staunch fan of. What a gem! What a treat to find it reviewed. 'Portrait of Jenny' may be their more famous outing but I have a special fascination instead with this Cotton/Jones party because of the element of the 'hand-written letters' (rather than oil-paintings). LOVE AFFAIR (1939) is in the public domain and easy to find on YouTube or other places. I reviewed LOVE LETTERS (1945) twice. Though the second posting was more a "rerun" with a new introduction. re: 'Love Letters' (1945) it strikes me as a very strange and convoluted storyline now, refreshed as I am by this plot summary. At the time I first saw it, I didn't catch half-so-much of these machinations. Combining 'Cyrano de Bergerac' with ...an amnesia case?! If I saw such a flick today I would probably roll-my-eyes all the way up into their sockets. But when I first viewed it, I was in a much more impressionable state-of-mind and didn't think very much about the implausibility of it all. The atmosphere alone convinced me of the power of the flick; the vividness of compositions; the good-looks of the stars. All the fine points of the narrative were lost on me and I focused only on the letters and the revelations and the woes of the characters. Joe Cotton seemed like the most honest and best guy in the world and J Jones the most sought-after and desirable woman. I rooted for a good end to this one! Very satisfying movie....but again, I'm recalling now, how I saw it with much less-cynical eyes. This film was restored not long ago by UCLA from a less than ideal surviving print. Shame on those who let only one print survive. But kudos to UCLA for caring enough to salvage it. What a gem, shot in Paris with an esteemed cast. Oh, and I should add, it was photographed in Ansco color. Burgess Meredith, who also stars, is the director. He plays Joseph Huertin, a man accused of a murder he did not commit. There are a lot of running scenes and moments where Huertin climbs stairs or hops off the side of a bridge. 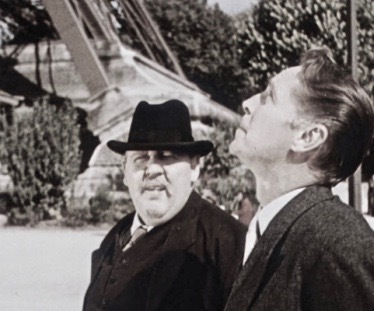 Inspector Jules Maigret (Charles Laughton) pursues him across the city, investigating the case. Maigret is a well-known French detective who has learned the killing occurred while Huertin was robbing an old woman's house. Though he soon concludes Huertin is innocent of the crime-- that he was simply in the wrong place at the wrong time. 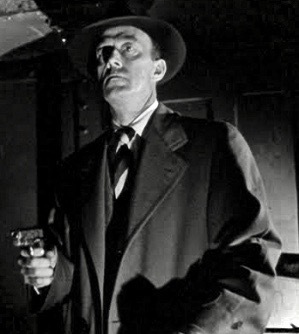 The man behind the murder is Bill Kirby (Robert Hutton) whose goal is to end up with his mistress (Jean Wallace). She sports a a hairstyle that makes her seem like a '30s gangster moll. 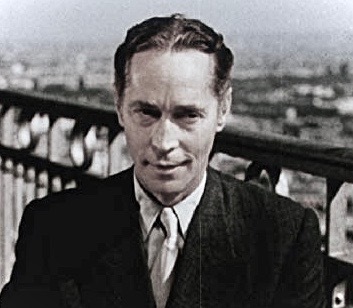 The real killer is a baddie named Johann Radek (Franchot Tone) that Kirby hired to do the deed. Radek is a crafty individual with his own agenda. The characters wear the same clothes throughout the film. Very little attention is given to presenting them in any sort of way that would be considered glamorous. Basically, we have Hollywood stars in a very un-Hollywood-like movie. Shots of the Eiffel Tower are impressive. No in-studio rear projection is used. The footage has all been recorded on location in Paris. 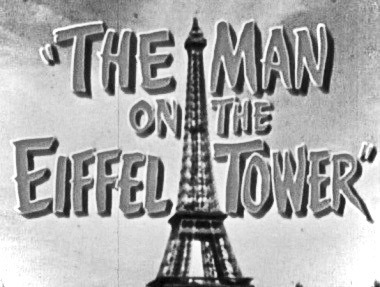 There's an interesting scene where Tone and Laughton dine at a restaurant on top of the Eiffel Tower. While the two are acting out a game of cat-and mouse, it also feels like two people who know each other rather well just having lunch. As if Burgess Meredith told them to sit down and eat, but at the same time get into character and improvise some dialogue. 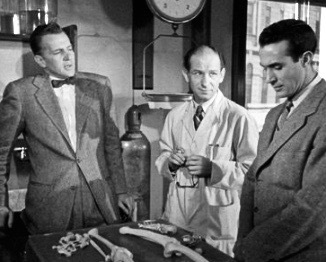 In this scene we learn Radek cannot be tied to the murder Maigret is investigating, and he delights in being able to stymie the police. One reason Radek cannot be connected to the murder is because he seems to lack a motive. Bill Kirby is the one with the real motive. However, Maigret and his fellow officers continue to hound Radek in the hopes that the truth will be exposed. This causes Radek to try and implicate Kirby's mistress in the crime. 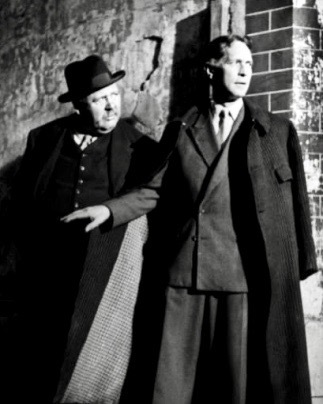 Gradually Maigret gathers enough evidence to link Radek to Kirby, and in a moment of panic, Radek starts running like Huertin did earlier in the movie. 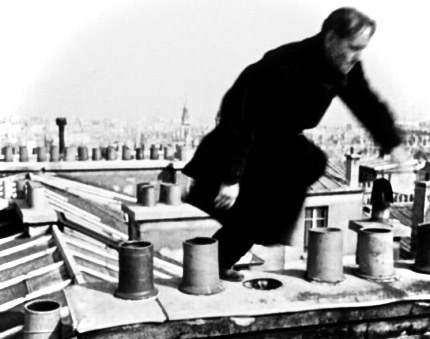 Radek scurries across a series of rooftops and down the side of an apartment building. It all moves along expeditiously, and there are no dull stretches in this story. Eventually Maigret and his men catch up to Radek and capture him. 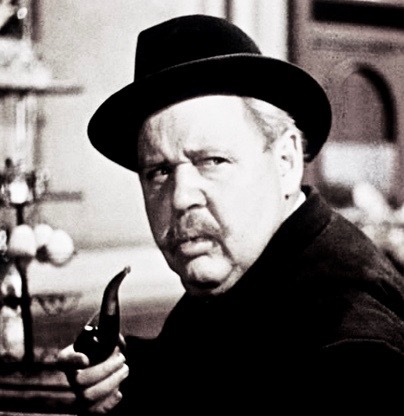 Laughton's role is a lot like the inspector he played in LES MISERABLES (1935). There's the same sort of catch-me-if-you-can excitement going on between the hunter and the hunted. In the final sequence Radek heads back to the Eiffel Tower. At this point Huertin is helping the police get Radek. Up the Tower they go. The actors seem to do most of their own stunts. I can imagine what the insurers thought, if there were any. Again, there are no in-studio process shots being used. The part where Huertin hooks on to Radek's feet, and Radek shakes him loose (and Huertin falls) is a real nail-biter. The ending, where Inspector Maigret leaves Radek dangling and goes down the elevator with Huertin, is ironically just. Not sure if the production code in Hollywood would have allowed a police detective to let a man just hang and presumably fall to his death. The camera angles from Radek's point of view are dizzying and truly Hitchcockian. The movie ends, and the viewer realizes a few things about the main performers. Primarily that Tone excels at playing bad guys. Meredith excels at playing the meek needing justice. 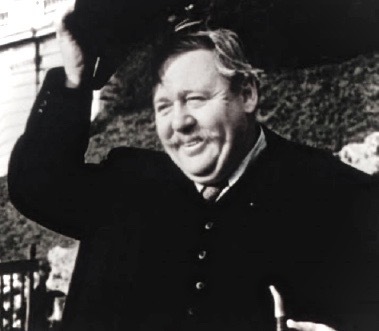 And Laughton excels at playing Laughton. Inspector Maigret? Well do I know that name. His fans are legion. Maigret is the French version of Sherlock Holmes but with a completely different method and style of detection. Created by iconic French author Georges Simenon. (of whom it is always forgotten that he wrote a fantastic slew of other non-genre works). Simenon is one of France's best and most well-rounded post-war talents. He writes very hard-hitting stuff. I wonder how the rights and royalties were arranged for this film. Swell review. I don't think I've ever seen Franchot Tone play a baddie. Or ever heard that Meredith was ever given a chance to direct. Wonder how that happened. And all three actors would later appear together in Otto Preminger's 'Advise and Consent'! Screenplay by Wendell Mayes, Allen Drury novel. 1963 or so. 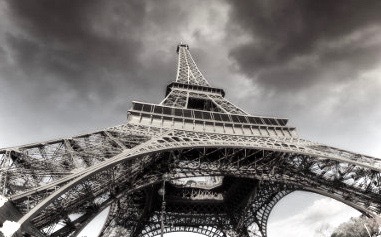 Eiffel Tower: I used to relish Guy de Maupassant's anecdote about how he loathed it--and of course in the modern day its such a familiar sight, even a tiring one. But I've lately become fascinated by the engineering and view it with new eyes. The delight is in knowing that the placement of each girder is exactly what you find in the natural world: human bone fiber, snail shells, any kind of tusk or claw or tooth, has the exact same handling of stress and load. I should point out that Tone served as co-producer. He and Wallace were married, but divorcing, at this time. Tone and Laughton had previously costarred in THE MUTINY ON THE BOUNTY (1935) and BECAUSE OF HIM (1946), a Deanna Durbin vehicle. 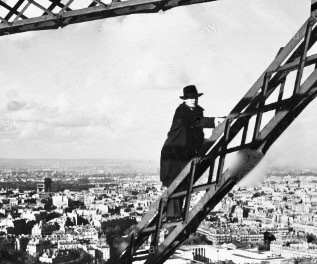 In many ways THE MAN ON THE EIFFEL TOWER feels like an independent film. It's made with Hollywood stars, done entirely on location in France. Tone and Robert Hutton, had similar backgrounds-- they were both from very old-money families. So I think this project was a chance for people with a lot in common, and similar artistic goals, to work together. Meredith applies a lot of experimental touches, which in my opinion makes what would have been a routine mystery drama, that much more thrilling. When he runs and hop off the side of a bridge, it's clear no stunt double was used. It is acrobatic, risky and fun. The same goes for Tone scurrying across a rooftop and down the side of a building, and the climactic finale at the Tower. It's a smart, shrewdly acted independent film that dares to be bold. I can see why UCLA restored it. It's one of those pictures that can't ever be lost or remain in obscurity. 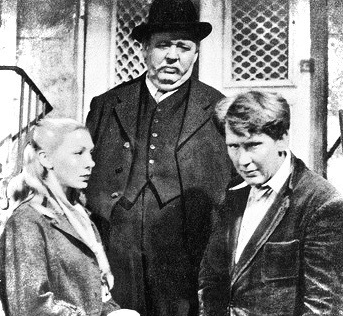 Fans of Charles Laughton should watch it as a double feature with LES MISERABLES (1935). From Inspector Javert to Inspector Maigret, he has it covered. 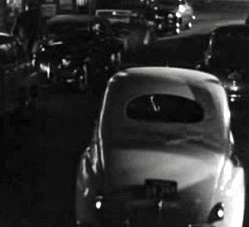 Fans of Franchot Tone may want to watch it as a double feature with PHANTOM LADY (1944). He plays a villain in both. Say! What's coming up next in this series? Back to Woody Allen for a moment: how did Tony Roberts ever become part of his stock players? Who was Tony Roberts before he met Allen? Why did Allen single him out for so many roles? No idea. Maybe they had the same agent, went to the same parties..? 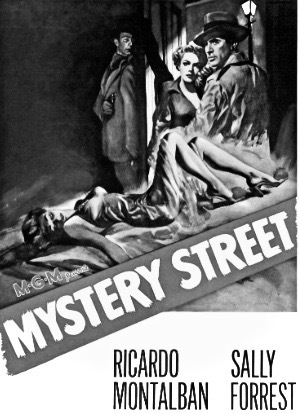 A heads up-- my review for MYSTERY STREET (1950) is another long one. So I will be posting part 1 on Friday evening, then part 2 on Saturday morning. Thanks for reading and discussing these great films! 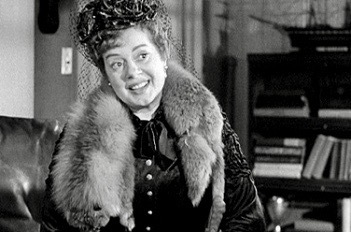 We start in Boston at a boarding house for young women owned by Mrs. Smerrling (Elsa Lanchester). 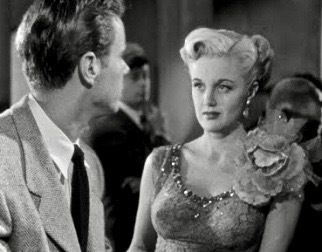 Tenant Vivian Heldon (Jan Sterling) is several weeks behind with the rent, but is expecting to get some money from her rich boyfriend. She's using the phone downstairs to call the guy and scribbles his number on the wall. He lives out in Hyannis, and she tells him to meet her later at at the Grass Skirt, a trendy but out of the way club where she works. There's desperation in her voice which suggests she's in trouble, and more than just late rent payments are on her mind. Later she's finishing her shift at the club. Her boyfriend James Harkley (Edmon Ryan) has failed to show up. This is because he's married and couldn't get away from home. 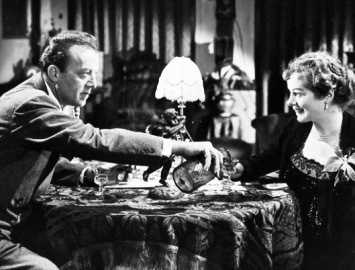 So she befriends another married guy named Henry Shanway (Marshall Thompson) who's had too much to drink. Shanway's wife Grace (Sally Forrest) is in the hospital and just lost a baby. Shanway has a nice car and Vivian wants to use it to drive up the cape to see Harkley. Against his better judgment Shanway agrees to go on a midnight joy ride with the lady. They stop at a diner where she calls Harkley to tell him she's on her way to his place. There's no way he'll let her come to the house to meet his wife, so he agrees to drive somewhere to meet her. Meanwhile Shanway is sobering up and realizes Vivian's taken him miles outside Boston. He wants to get back to the hospital, but Vivian ends up stranding him along the road. She then proceeds to meet Harkley at a nearby lake, where things don't go so well. Vivian threatens to expose Harkley, and he shoots her with an automatic pistol. 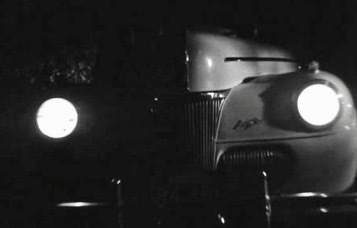 After she's been killed, he undresses her then puts her back into the car and pushes it into the lake. We know Shanway will get blamed for this, and it will be interesting to see how the actual culprit is apprehended. 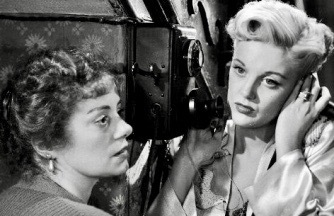 Cinematographer John Alton lensed several classic films noir, and he provides arresting visuals. 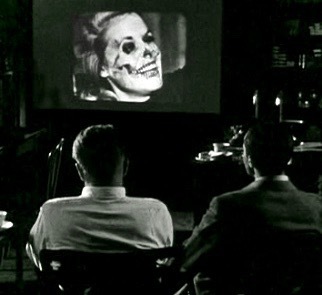 The scenes along the beach, where the woman's skeletal remains are discovered a few months later, are hauntingly depicted on screen with lighting and photography that denote Alton's signature style. I wouldn't be surprised if these images inspired Shelley Winters' drowning scenes in THE NIGHT OF THE HUNTER five years later. 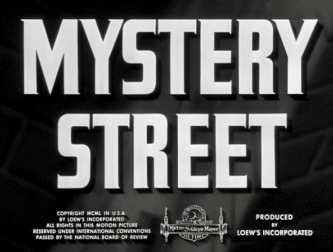 MYSTERY STREET, a symbolic title, is more of a why-dunit than a who-dunit. 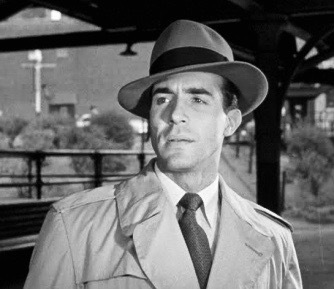 Harvard's Department of Legal Medicine figures into the investigation carried out by a Portuguese police lieutenant named Moralas (Ricardo Montalban). During the investigation scenes, we see how a university professor (Bruce Bennett) aids Moralas with forensic science to go over evidence obtained from the lake. For instance, blond hair has been retrieved from the body, as well as foliage that would grow only during a certain time of year. The skeleton's bones indicate the victim was a female between the age of 20 to 24. Ricardo Montalban plays the lieutenant very earnestly. He conveys a policeman who is not only inquisitive but sincere. 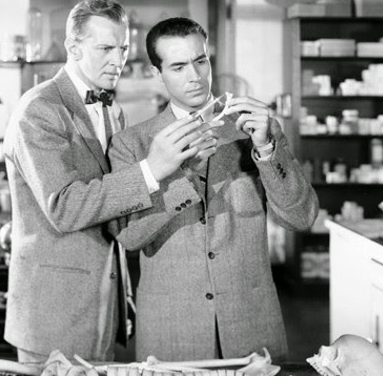 There's an interesting part where Moralas and the professor take photos of missing women, blow them up and superimpose them over shots of the skull to see if they match. They do eventually make a positive ID for Vivian Heldon. What I love about this section of the movie is how educational, thoughtful and entertaining it is. It has a semi-documentary feel but does not hit us over the head with its scientific approach. It's very smoothly presented, and most of the credit must go to Montalban and Bennett for the way they perform the material so evenly and realistically. 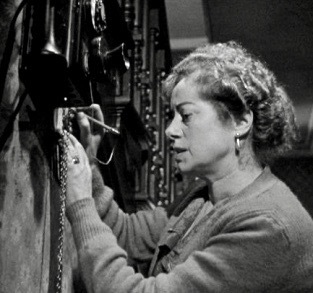 In order to ensure things don't get too academic, the story shifts gears after this and we see Moralas go to the boarding house to interview the landlady. Thanks. I believe they're airing the best of the Essentials that had been presented by Robert Osborne and other co-hosts. I will continue reviewing more essential films here on this thread.